Join Manhattan College as they invite Sabeeha Rehman to discuss her 2016 memoir, “Threading My Prayer Rug: One Woman’s Journey from Pakistani Muslim to American Muslim”. The book was Short-Listed for the 2018 William Saroyan International Prize for Writing, received Honorable Mention in Spirituality by the San Francisco Book Festival Awards in 2017, and was listed as Top 10 Religion and Spirituality Books 2016, among many other accolades. The author, a Muslim woman, and an American of Pakistani descent is a contributor to the Houses of Worship column of the Wall Street Journal. 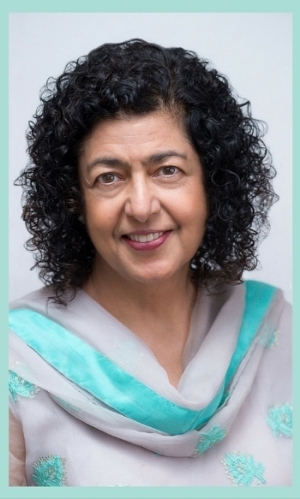 Sabeeha has spent the last several decades engaged in interfaith dialogue, giving talks on Islam. In 2017, she had the pleasure of giving 111 talks in the U.S. including Chautauqua Institution.